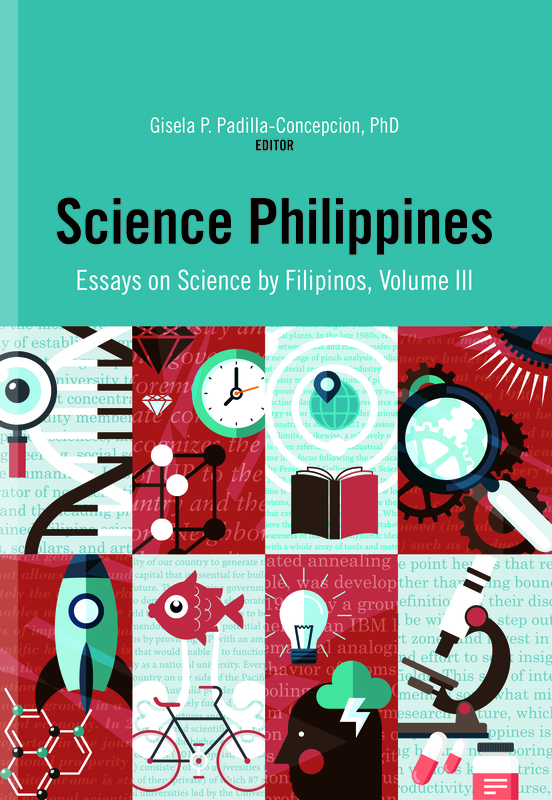 Science Philippines Volume III is the fourth in a series of books on popular science articles written by Filipino scientists, science educators, and administrators about their work and related studies done by others in the Philippines and the rest of the world. The first three books were titled Selected Essays on Science and Technology for Securing a Better Philippines, Science Philippines Volume I, and Science Philippines Volume II. These books contain articles which were published in the newspaper column Star Science, which appeared every Thursday in the business section of The Philippine Star starting 2003. The books each cover a Star Science publication period of several years and the articles are organized by themes or topics and not by the chronology of publication. For her various efforts in scientific research and in the promotion of the sciences, and for her studies on bioactive compounds from marine organisms and the appreciation and protection of marine life, Gisela Padilla-Concepcion was chosen as the 2013 Philippine Federation of Chemical Societies Awardee for Chemical Research, and the 2010 honoree for Outstanding Achievement in Science and Technology of the Philippine Development (Ayala) Foundation USA. A year before that, she was given the Paz and Severino Koh Lectureship Award in Science by the PAASE. She also received the 2008 Centennial UP Alumni Association (UPAA) Outstanding Award for Science and Technology, the 2007 National Research Council of the Philippines (NRCP) Achievement Award in Chemistry, the 2006 Gregorio Y. Zara Award for Basic Research, the 2006 NAST-LELEDFI Award for Outstanding Research in Tropical Medicine, the 2005 Philippine Society for Biochemistry and Molecular Biology (PSBMB) Research Award, and the 2002 Dr. Eusebio Y. Garcia Recognition Award for Molecular Biology and Molecular Pathology by the NRCP. Gisela P. Padilla-Concepcion is currently the vice president for academic affairs of UP System.